← “Linsanity” – did it go too far? Kodak has been in business for more than 132 years – and it has seen a lot of changes in the American lifestyle during that time. 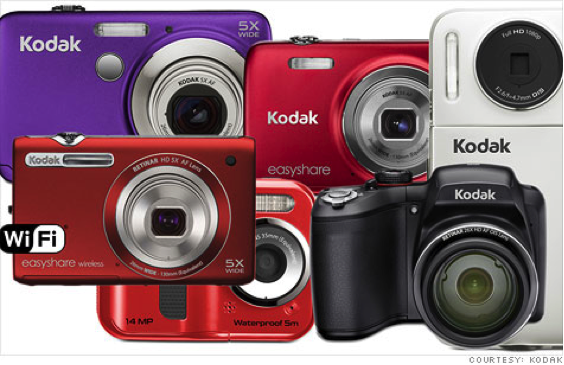 Once the world’s leader in film, Kodak announced it is in be Chapter 11 bankruptcy proceedings and that the company will exit the digital photography business in June 2012. Kodak is a story familiar to many in the business world as the company with the iconic cameras – including the Brownie and the Instamatic. Over the years the company has entered new markets with products such as printers, digital cameras, photo technology, and digital photo frames. Until the 1990s, Kodak spent $4 billion to develop photo technology inside most of today’s cell phones. However, the company feared cannibalizing its own markets and delayed its market entry to 2001. The company is pursuing markets for home photo printers, high-speed commercial inkjet presses, workflow software, and packaging as the core for its future. Ask students how many of them have cameras. Count how many are film vs. digital (include cell phones, too). What are some of the products and businesses that Kodak has been in over the years? What are opportunities for the company to pursue? Have students research the company and develop a time line of the products introduced over the years. How do these products track American life? What are impacts of delaying new product launches?